For some reason my eye was drawn to the slit in the skirt, and that's what I focused on. 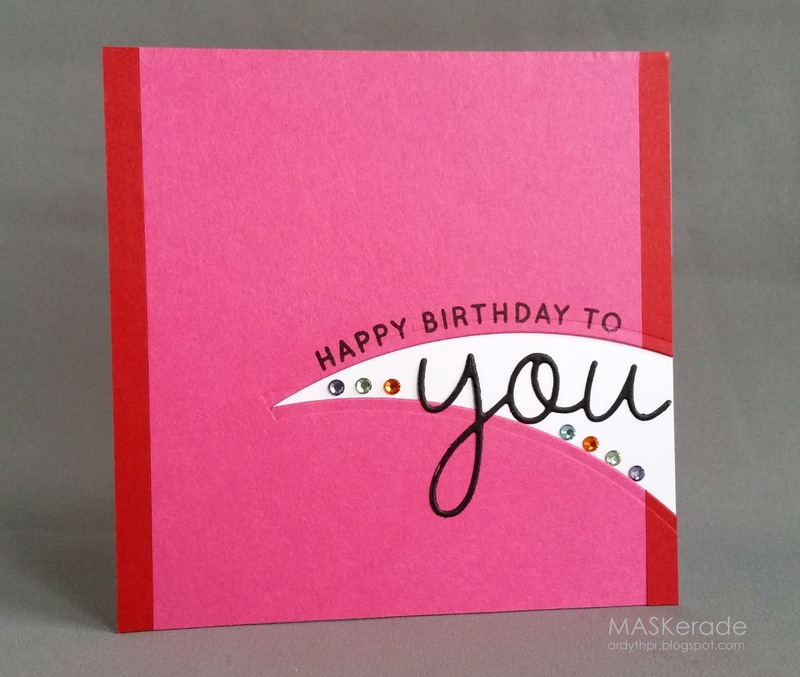 I used a technique that Jacquie used on this card. I used a cut-up portion of a Grand Calibur circle Nestability rather than a die created specifically for this purpose. But the shape and idea is similar. I'm not sure where the stamp comes from, but the die is from Papertrey. Amazing Ardyth you nailed the challenge. Love it! That curve is awesome. another great card by you!! You cut your die???! Can you still use it for cutting the original shape? So you're a leg girl, huh? It's so cool how people can see one photo and be inspired in a million different ways. Love your slit, Ardyth! The sentiment fits perfectly and the line of gems really add the finishing touch. Wow! This technique (?) is so effective! I headed straight over to Jackie's blog to see how you did this! Great take on the inspiration photo! Love the way you were inspired Ardyth! Such a great interpretation of the pic, Ardyth! I LOVE this! WOW Ardyth! I would have never thought to use a circle die to creat this. I saw the pic on Pinterest and just HAD to see what you used! Amazing! LOVE this card! This is stunning...what an fantastic card! Modern, clean, beautiful shade of pink....its a perfect combo!!! Wow--I love the window you created. Off to Jacquie's to see how you made the magic happen. love it -- very unique! What a GREAT design and I like the rainbow of rhinestones! Totally in love with your card...:) You nailed it! Great interpretation on the dress. LOVE!